Can’t make it up to the Yorkshire Dales as often as you’d like? Don’t worry there are lots of greenspaces and parks that you can enjoy closer to home. There are also lots of organisations who can help you get out and about walking, doing conservation tasks or other activities outdoors in your local area too. 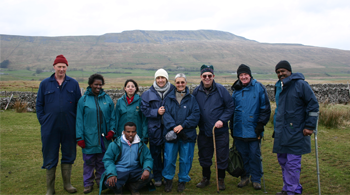 Over 85% of groups who have been out with People & the DALES have undertaken some kind of activity, walk or visit in their local area! Why not see what you could do? Bradford Environment Forum for all things environmental in Bradford!